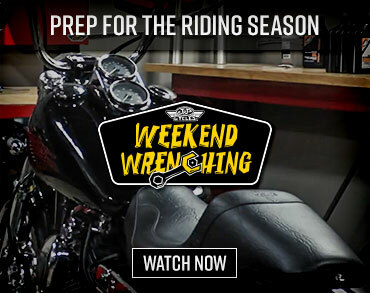 Climb on with Motorcycle USA as we take the 2014 Harley Low Rider out for a first ride at Daytona Beach Bike Week. Hear our impressions in our 2014 Harley-Davidson Low Rider First Ride Video. Aww, 1977. A time when Jimmy Carter was president, John Travolta made bell-bottom polyester slacks all-the-rage thanks to the movie Saturday Night Fever, and twas the year dear Elvis left the proverbial building. It was also the year Harley-Davidson launched what it calls “a ride-it-hard, put-it-away dirty” cruiser called the Low Rider. First powered by a Shovelhead, the popular custom-inspired motorcycle saw its share of changes over the years, from drag bars to buckhorns, raised white-lettered tires on mag wheels to the vaunted FXR chassis. They call it the Low Rider because it sported custom-style chops and a slammed seat height. Harley improved on this with the 2014 Low Rider by making the bike’s riders triangle accessible for a wider range of riders, giving the bars 2.4 inches of adjustability, offering an optional lower lumbar support pad that moves riders 1.5 inches forward, and moving the foot controls two inches forward from the standard Dyna mid-mount position. Loosen four easy-access hex-head bolts supporting the riser to adjust the bars. Tightening two screws is all it takes to throw on the lumbar pad, the stock seat equipped with a small slot for it to slide into. The 25.4-inch laden seat drops riders so low my knees were actually angled slightly up in relation to the saddle. Harley accomplished this without the riding position being uncomfortable for a six-foot-tall rider. The riser and bars are high and with the rider sitting low it provides a natural buffer from the wind. A little air hits mid-chest at about 65 mph, but the push becomes more noticeable as riders approach 80-plus mph. The heartbeat of Harley’s latest Dyna is provided by a torque-laden 1690cc Twin Cam 103 engine. Even with 3.87-inch pistons drumming at a healthy 4.37-inch stroke, the Big Twin’s rubber mounting means it doesn’t shake, rattle and roll like the Shovelhead of the first 1977 Low Riders. Dump the clutch and this baby hooks up, leaving a black streak of rubber in its wake. Power is fairly evenly distributed throughout its powerband, a claimed 98.8 lb-ft of torque coming on at only 3500 rpm, though its shutdown at redline is abrupt. In two gears you’re up to highway speed in a few seconds flat. Wind out third and you’re above 85 mph and climbing with three gears to go and a potential date with local law enforcement pending. Most miles on the open road can be spent in fifth if you’re looking for the best roll-on power, while sixth will save a bit of wear and tear on the engine as rpm drop the cruise drive transmission into a loping cadence. The new headlight shroud on the 2014 Low Rider allowed Harley to make the bars adjustable simply by loosening four hex bolts. New risers and bars allow for 2.4-inches of adjustability. They ain’t too shabby on the eyes, either. The seat of the ’14 Low Rider has two options. A small lumbar support pad clips into the slot where the Harley-Davidson tag is and moves riders 1.5 inches forward. Speaking of said six gear transmission, Harley’s gearbox has come worlds away from its predecessors. On the 2014 Low Rider, engagement isn’t near as abrupt as before. The notchy feel when it does click into place isn’t as harsh, and overall it shifts reliably and efficiently. This is facilitated by a clutch lever that only requires a firm squeeze and a catch that comes halfway upon release, keeping it easy to modulate. Harley put a lot of focus on the suspension of the new Low Rider. Stout new coil-over rear shocks provide a firm, composed ride. Black springs and tubes sandwiched between chrome caps ups the cool factor. The 49mm fork has a generous 5.1 inches of travel, but on a direct collision with a Florida pothole the front bottomed out while the rear withstood blowing through its 3.1 inches. Both the fork and shocks of the Low Rider have tri-rate springs. The end result is a bike whose suspension arrangement keeps riders comfortable in the saddle, helping keep the fatigue factor to a minimum and allowing for extended stints as a result. With its steering head set at 30.5-degrees of rake and its fork angle at 32 degrees, the Low Rider steers with modest effort at the bars. Its foot controls are placed above the pipes, allowing for a healthy amount of lean before riders start scraping off some of the rubber surrounding the footpegs. At lean, it’s sure-footed and turns-in predictably, maintaining its composure on the edges of its contact patches thanks to grippy Michelin Scorcher 31 tires. The Low Rider joins the Fat Bob as the only two Dynas with dual discs up front. Twin 300mm floating rotors with 4-piston fixed calipers anchor the front. Meanwhile an ample-sized 292mm disc steadies the rear, the back brake equipped with two-piston floating binders. This equates to improved feel at the lever, less fade than before and increased power on the front. It also amounts to shorter stopping distances. The rear provides a solid grab, too, braking pressure even but not grabby. The 2014 Low Rider we tested had the optional ABS package, a $795 addition over the stock price. The pulse of the ABS feels toned down more than prior versions, as the first ABS offering from The Motor Company pumped pretty hard in the ball of a rider’s foot. Harley reps said the company put a heavy emphasis on styling on the 2014 Low Rider and it paid off in an attractive balance of paint and chrome. Lead engineer on the Low Rider, Paul Weiss, said the project has been in development just under two years, ample time to achieve this balance. Its shine is provided by chrome risers and bars, headlight shroud, primary cover, battery box trim and chain guard. Wrinkle-black paint on the powertrain, wheels, console, frame and swingarm provide good contrast. Harley paint is the standard others try to emulate, the two-tone Amber Whiskey and Vivid Black combo particularly striking on the Low Rider. 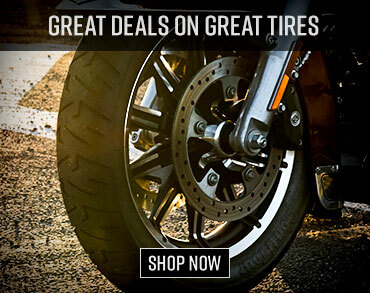 A 19-inch cast aluminum wheel shod in Michelin Scorcher rubber leads the charge on the 2014 Low Rider. A 19-inch, five-spoke cast aluminum wheel swathed in Michelin Scorcher rubber heads the charge while a 17-inch rear shod in the same combo spools up the rear. The black console mounted on the 4.7-gallon tank has an analog speedometer and tachometer stacked one above the other. The speedo has a small digital window paired to a button on the left hand control that allows riders to toggle through a gear indicator, odometer, A/B tripmeters, miles till empty, and a clock. The one drawback of the speedo/tach arrangement is the tachometer sits so low on the console, so it’s difficult to see without taking your focus off the road. Harley also threw us a curveball by moving the custom ignition switch to the left side of the motorcycle down by the engine, leaving us looking like newbies when we couldn’t figure out how to get the bike started. The 2014 Low Rider is offered in Vivid Black, Brilliant Silver/Vivid Black, and Amber Whiskey/Vivid Black at a base MSRP of $14,199 while two-tones bump up the price to $14,929. In one day, we did 173 miles on Florida’s roadways as we ventured up FL 19 North to Palatka from Daytona Beach, traveling through lily pad-laden waterways and palm tree-lined thoroughfares along the way. Though our seat time was divided between the 2014 Low Rider and 2014 SuperLow 1200T, one thing was evident. The Low Rider is a fun bike to ride. It’s ideal for day trips on scenic roads like the one we embarked on. It’d be a blast as a bar hopper and everyday rider. We came to this conclusion because the 2014 Harley Low Rider combines an authoritative engine with upgraded suspension, has a more powerful braking package than prior versions, and appeals to a broader spectrum than ever before thanks to its adjustable bars and lumbar insert. 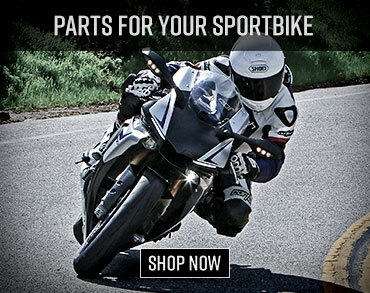 Get on the throttle and its two-into-one pipe has a rumble that stirs the soul. After a five-year lay-off, we’re glad to see the Low Rider back and badder than before. Now where’s our bell-bottom Angel Flights because we’re ready to celebrate its revival!